PASADENA, Calif. -- Astronomers using data from NASA's Kepler and Spitzer space telescopes have created the first cloud map of a planet beyond our solar system, a sizzling, Jupiter-like world known as Kepler-7b. The planet is marked by high clouds in the west and clear skies in the east. Previous studies from Spitzer have resulted in temperature maps of planets orbiting other stars, but this is the first look at cloud structures on a distant world. "By observing this planet with Spitzer and Kepler for more than three years, we were able to produce a very low-resolution 'map' of this giant, gaseous planet," said Brice-Olivier Demory of Massachusetts Institute of Technology in Cambridge. Demory is lead author of a paper accepted for publication in the Astrophysical Journal Letters. 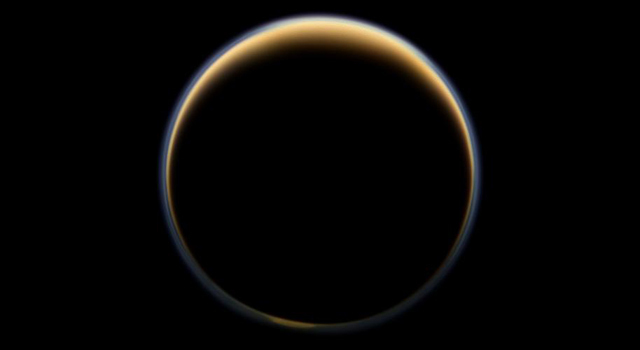 "We wouldn't expect to see oceans or continents on this type of world, but we detected a clear, reflective signature that we interpreted as clouds." Kepler has discovered more than 150 exoplanets, which are planets outside our solar system, and Kepler-7b was one of the first. 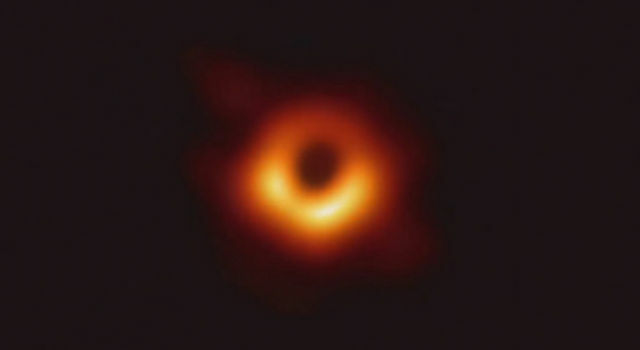 The telescope's problematic reaction wheels prevent it from hunting planets any more, but astronomers continue to pore over almost four years' worth of collected data. Kepler's visible-light observations of Kepler-7b's moon-like phases led to a rough map of the planet that showed a bright spot on its western hemisphere. But these data were not enough on their own to decipher whether the bright spot was coming from clouds or heat. The Spitzer Space Telescope played a crucial role in answering this question. Like Kepler, Spitzer can fix its gaze at a star system as a planet orbits around the star, gathering clues about the planet's atmosphere. Spitzer's ability to detect infrared light means it was able to measure Kepler-7b's temperature, estimating it to be between 1,500 and 1,800 degrees Fahrenheit (1,100 and 1,300 Kelvin). 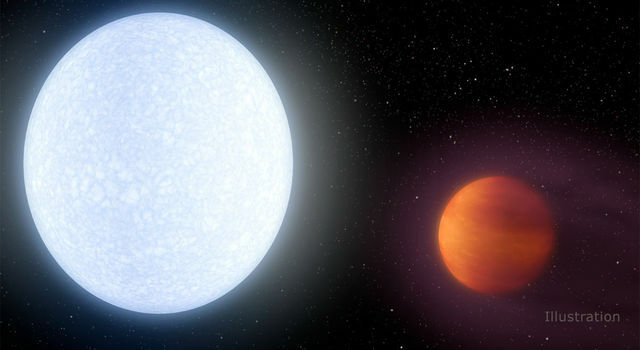 This is relatively cool for a planet that orbits so close to its star -- within 0.06 astronomical units (one astronomical unit is the distance from Earth and the sun) -- and, according to astronomers, too cool to be the source of light Kepler observed. Instead, they determined, light from the planet's star is bouncing off cloud tops located on the west side of the planet. "Kepler-7b reflects much more light than most giant planets we've found, which we attribute to clouds in the upper atmosphere," said Thomas Barclay, Kepler scientist at NASA's Ames Research Center in Moffett Field, Calif. "Unlike those on Earth, the cloud patterns on this planet do not seem to change much over time -- it has a remarkably stable climate." The findings are an early step toward using similar techniques to study the atmospheres of planets more like Earth in composition and size. "With Spitzer and Kepler together, we have a multi-wavelength tool for getting a good look at planets that are trillions of miles away," said Paul Hertz, director of NASA's Astrophysics Division in Washington. "We're at a point now in exoplanet science where we are moving beyond just detecting exoplanets, and into the exciting science of understanding them." Kepler identified planets by watching for dips in starlight that occur as the planets transit, or pass in front of their stars, blocking the light. This technique and other observations of Kepler-7b previously revealed that it is one of the puffiest planets known: if it could somehow be placed in a tub of water, it would float. The planet was also found to whip around its star in just less than five days. Explore all 900-plus exoplanet discoveries with NASA's "Eyes on Exoplanets," a fully rendered 3D visualization tool, available for download at http://eyes.nasa.gov/exoplanets. The program is updated daily with the latest findings from NASA's Kepler mission and ground-based observatories around the world as they search for planets like our own. Other authors include: Julien de Wit, Nikole Lewis, Andras Zsom and Sara Seager of Massachusetts Institute of Technology; Jonathan Fortney of the University of California, Santa Cruz; Heather Knutson and Jean-Michel Desert of the California Institute of Technology, Pasadena; Kevin Heng of the University of Bern, Switzerland; Nikku Madhusudhan of Yale University, New Haven, Conn.; Michael Gillon of the University of Liège, Belgium; Vivien Parmentier of the French National Center for Scientific Research, France; and Nicolas Cowan of Northwestern University, Evanston, Ill. Lewis is also a NASA Sagan Fellow. The technical paper is online at http://www.mit.edu/~demory/preprints/kepler-7b_clouds.pdf . NASA's Jet Propulsion Laboratory, Pasadena, Calif., manages the Spitzer Space Telescope mission for NASA. Science operations are conducted at the Spitzer Science Center at Caltech. 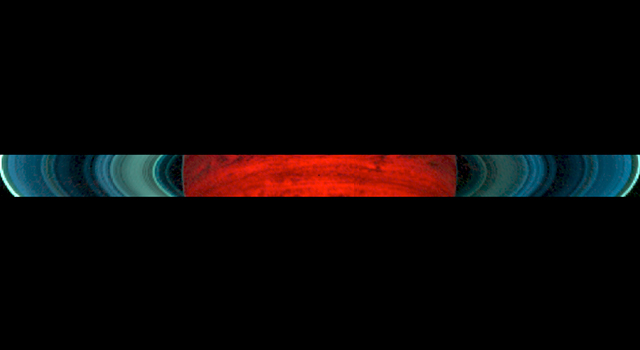 Data are archived at the Infrared Science Archive housed at the Infrared Processing and Analysis Center at Caltech. Caltech manages JPL for NASA. 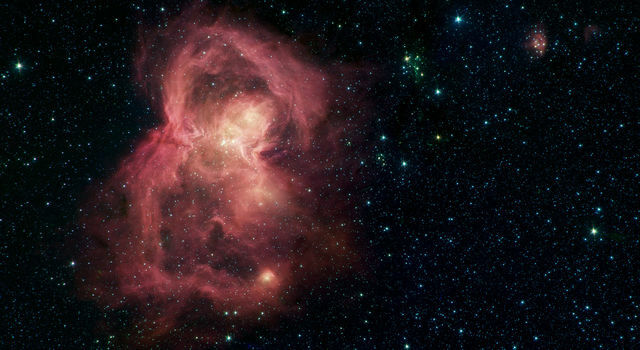 For more information about Spitzer, visit: http://spitzer.caltech.edu and http://www.nasa.gov/spitzer . Ames is responsible for Kepler's ground system development, mission operations and science data analysis. JPL managed Kepler mission development. Ball Aerospace & Technologies Corp. in Boulder, Colo., developed the Kepler flight system and supports mission operations with the Laboratory for Atmospheric and Space Physics at the University of Colorado in Boulder. The Space Telescope Science Institute in Baltimore archives, hosts and distributes Kepler science data. Kepler is NASA's 10th Discovery Mission and was funded by the agency's Science Mission Directorate. For more information about the Kepler mission, visit: http://www.nasa.gov/kepler and http://www.kepler.nasa.gov .